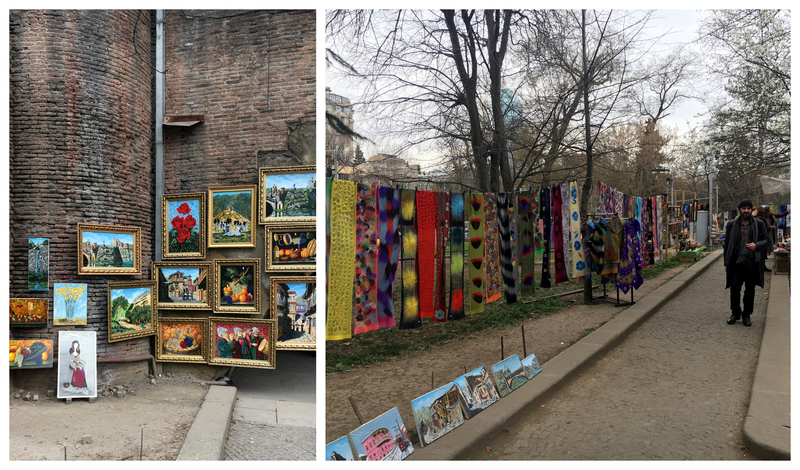 I’ve visited the Dry Bridge flea market a few times since arriving in Tbilisi, but this past Sunday Sean and I went with a mission: art shopping. 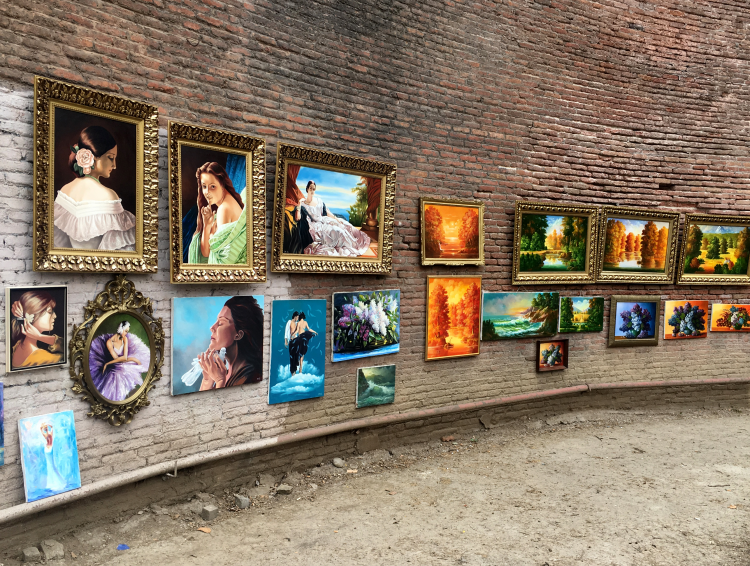 I’m dying to get my hands on a local painting, and although we haven’t really been looking in earnest quite yet, it’s been almost nine months and I’m ready to do some serious souvenir shopping. In Dushanbe, I dove into the deep end right away, and while I didn’t end up with too many regretful purchases, there is one rather large yellow suzani that haunts me. It has yet to actually hang on our wall and I have no intention of showing off my poor decision making to anyone who visits my home. I’ve been trying to avoid such an experience in Tbilisi, but I’m starting to really get an itch for some local goodies. Now, I know a flea market doesn’t exactly sound like the place to find beautiful paintings, but Dry Bridge is not like any other I’ve been to. (Not that I’ve been to many, they aren’t really my thing.) 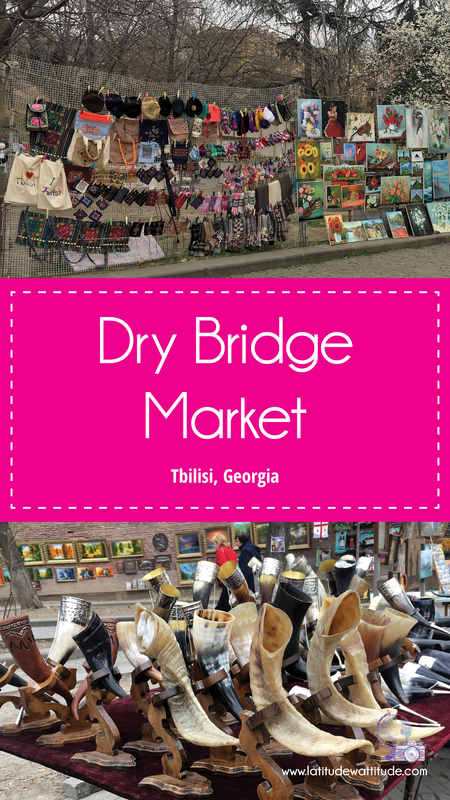 It’s home to a unique mix of vendors selling a vast array of household items, Soviet memorabilia, Georgian souvenirs. Definitely different, and definitely interesting. Dry Bridge gets its name from its location: literally a dry bridge. Years ago – I can’t remember exactly when – an arm of the Kura River created a small island between the east and west banks. That little offshoot has since dried up, and the name “Dry Bridge” stuck. 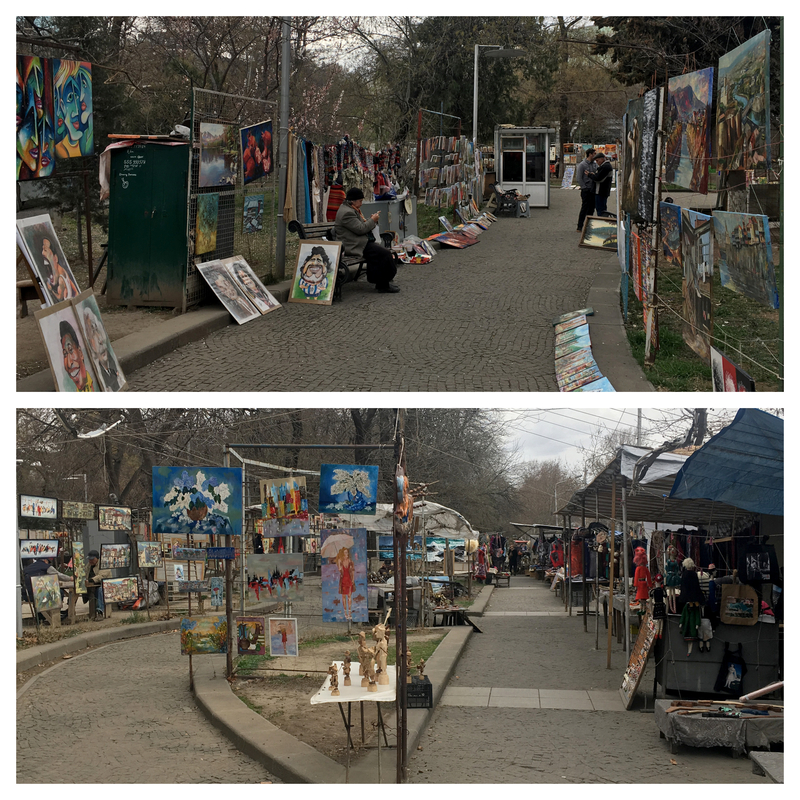 This kind of market is not unique to Georgia – we saw several like this in Dushanbe and all around Tajikistan. After the fall of the Soviet Union, locals needed to find ways to make ends meet, so they began selling their own personal possessions. Naturally, these merchants congregated into flea markets such as Dry Bridge. I feel like Dry Bridge has a bit of a split personality. There are the vendors selling Soviet memorabilia and household items, and then there are the vendors selling crafts, souvenirs, and artwork. I personally am not a huge fan of flea markets because shopping, in general, gives me anxiety and such haphazard layouts make me actually insane. However, I can appreciate how meticulously each vendor sets up their booth and carefully cleans and polishes each item. Last Sunday was not the most pleasant day – it was a bit chilly, windy, and threatening rain – so we were able to explore uninhibited by large crowds that are usually present on weekends. We, as usual, didn’t end up finding any gems during our search, but I always enjoy a stroll through the art section. Perhaps our next visit will be luckier, but I highly doubt it will be as pleasant and uncrowded as this one.